So every Saturday, I plan on posting about my favorite Etsy items. Supporting handmade artists will be fun. I love Etsy soooo much! I've only bought two or three things from there, but I plan to buy again soon. Sadly, I don't remember the shop in which I purchased a handmade Kindle Fire cover or the one in which I found a neato skeleton coin purse. 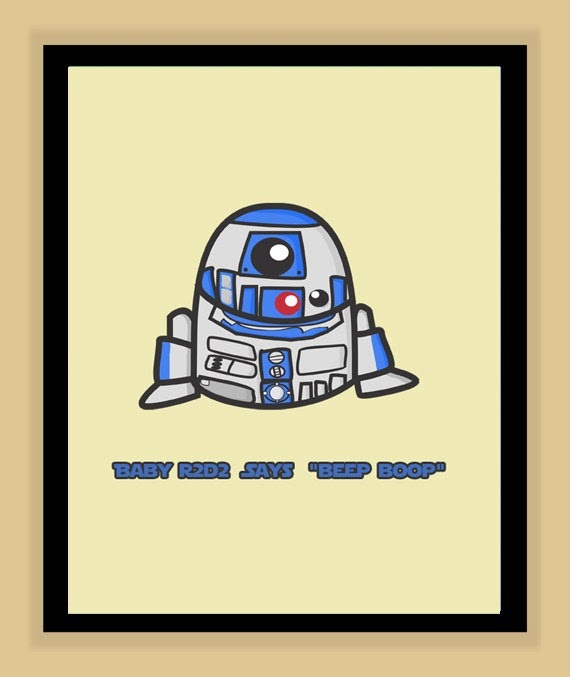 For a baby's room, this R2D2 print is cute! The modernhomeprints Etsy shop is where this can be found. I'm always on the lookout for cute toys for boys. 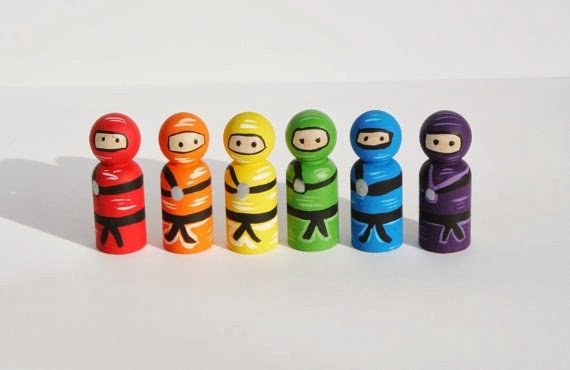 These ninja buddies come as a set from Zooble on Etsy. 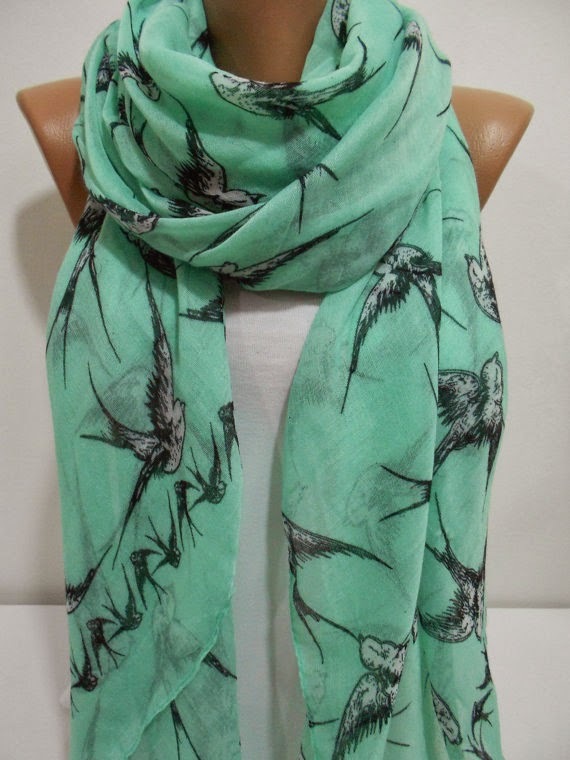 I love mint right now and this scarf is great! It can be found at the MiracleShine etsy shop.